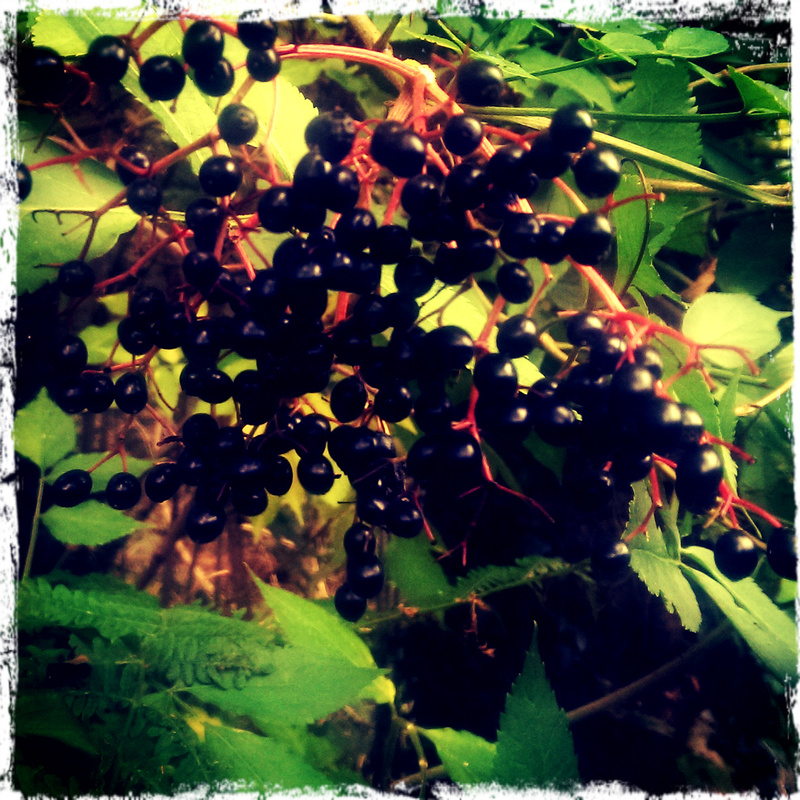 I’ll tell you something : I was actually looking forward to an elderberry wine-making adventure. I’d found a recipe and done all the research about equipment. I was hearing reports of bumper crops in Scotland and in Northern Ireland too. I was all set. Only thing is though, the elders on the farm are in really exposed spots and didn’t even yield enough to make a sherry-glass of wine, let alone a bottle or two. So, for today’s adventure, I decided to make an investment for future generations, should they wish to make their own wine 🙂 . Today, I learned how to prepare elder seeds for sowing at the end of Winter. This way, my grandchildren may be able to produce something lovely from the “wine trees” that I planted for them today! Using my “Tree Bible”, Tree Planting And Aftercare, I learned that the flesh of an elderberry is filled with chemicals which inhibit germination. So stage one of the preparation is to either let the flesh rot off (by keeping the berries in a plastic bag) or to use a blender to help the natural separation process along. The blender method was surprisingly straight-forward. I placed the blended mix in water and this helped to separate the flesh from the seed : the seeds floated to the top and the flesh sank to the bottom. Once I had cleaned the seeds, I was ready to mix the seeds with moist sand and place them in a stone-lined pot. I covered the pot with protective mesh, as I did for the oak, beech and horse chestnut seeds. This mixing of seed with sand and then leaving outside is called “stratification”. As Winter progresses, I’ll keep my eye on the seeds. As soon as I observe chitting or splitting of the seeds, I’ll knowing they’re ready for sowing!